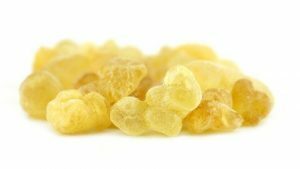 One of the most precious oils used for centuries, the amazing properties of Frankincense were even known to the Egyptians who prized it highly. In Biblical times this was known as ‘The King of Oils’. This incredible oil has MANY health properties and can be diffused, Vaporised or topically applied for use. Frankincense Oil is extracted from the gum or resin from Olibanum trees, whose scientific name is Boswellia carterii. It is highly antiseptic and whether topically applied or just burned or diffused will clear bugs and germs from the space it is used in. Ideal for cold and flu season. It’s also warming and restful, no home should be without it! Frankincense Oil is very effective as a sedative, because it induces a feeling of mental peace, relaxation, satisfaction and spirituality. It also awakens insight, makes you more introspective and lowers anxiety, anger and stress. When feeling anxious or if you anticipate some sort of stressful episode, add some frankincense oil to a diffuser or a vaporizer. 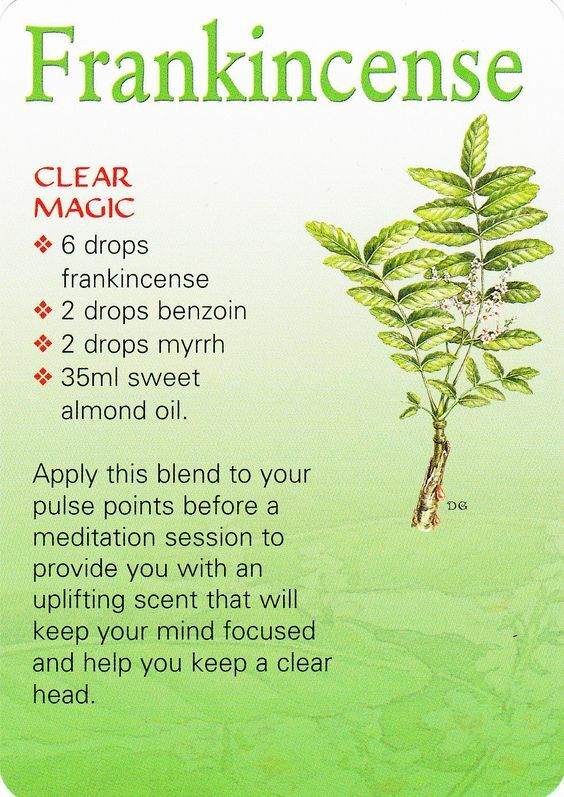 Frankincense essential oil promotes deep breathing and relaxation, which can open your breathing passages and reduce blood pressure, moving your mental state back to calmness. I often use it in my therapy room or when i’m teaching meditation classes. This also explains why it has been associated with spirituality and religious rituals for thousands of years and why it was ( and still is ) burned as incense in Temples and Churches. acts as a sedative, great for insomnia, helps anxiety, anger and stress. relieves pain associated with rheumatism, arthritis, etc., soothes inflammation. helps regulate estrogen production and delayed menstruation. Helps PMS symptoms and pain. Overall, Frankincense essential oil tones and boosts health and is therefore considered a tonic. It benefits all the systems operating in the body, including the respiratory, digestive, nervous and excretory systems, while also increasing strength by aiding the absorption of nutrients into the body. 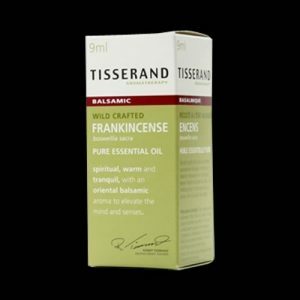 Furthermore, frankincense oil strengthens the immune system and keeps you strong and protected for the future. 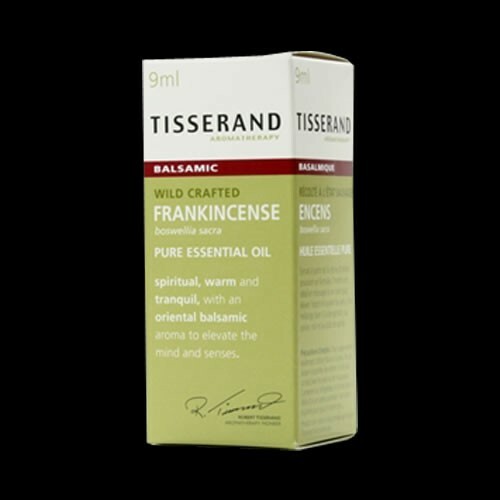 Frankincense Oil promotes regeneration of healthy cells and also keeps the existing cells and tissues healthy. When you combine this aspect of frankincense oil with its powerful astringent capabilities, you have a potent anti-aging quality that frankincense oil is often used for. It can help you to eliminate sun spots, remove micro-wrinkles around the eyes and cheeks, and generally tone and tighten skin all over your body, while simultaneously replacing old or dying cells with new, healthy ones! It was also discovered to be one of the oils that the High Priests of Egypt used to preserve the mummified remains of their dead, mainly respeonsible for such good skin preservation on the mummies. To learn more about Frankincense take a look at the Essentially Curious Workshop and the Aromatherapy Blending Diploma courses offered at The Retreat. I recently attended your course as part of the ‘Breast Friends’ group at St Giles Sutton Coldfield. My 24 year old son, suffers with warts on his hands, mainly around the base of the finger nails. Our doctor has said there is nothing that can be done, but he is extremely conscious of them! Do i need to book a consultation with you for him or are you able to suggest something to try?